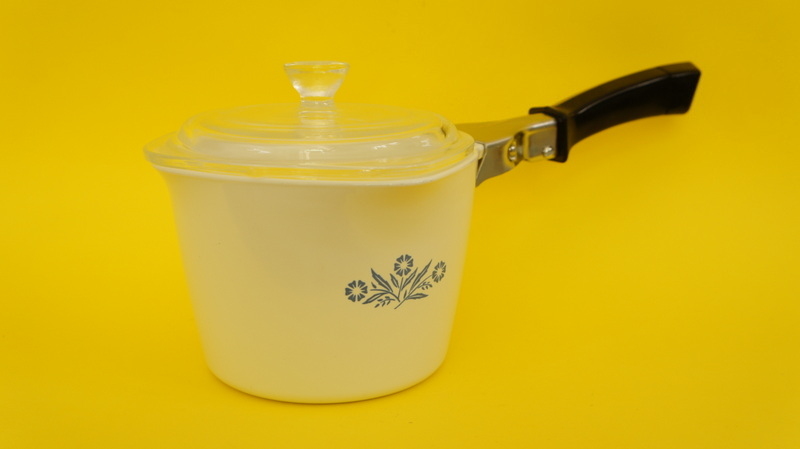 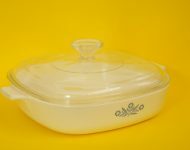 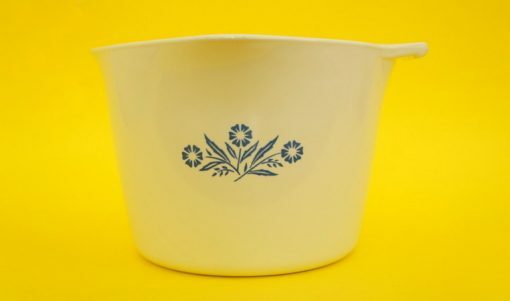 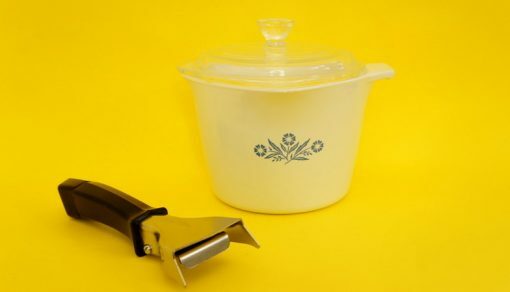 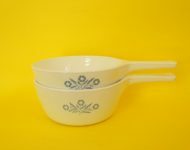 It’s pretty rare to come across one of these Corning Ware ‘Sauce Makers’ complete with its detachable handle and it’s pyrex lid – in fact just the dishes themselves are pretty hard to find, so a complete set is a real score! These Sauce Makers come in different sizes, and I think this one quart version (about one litre, or four cups) is the smaller version, but it’s still a decent size. 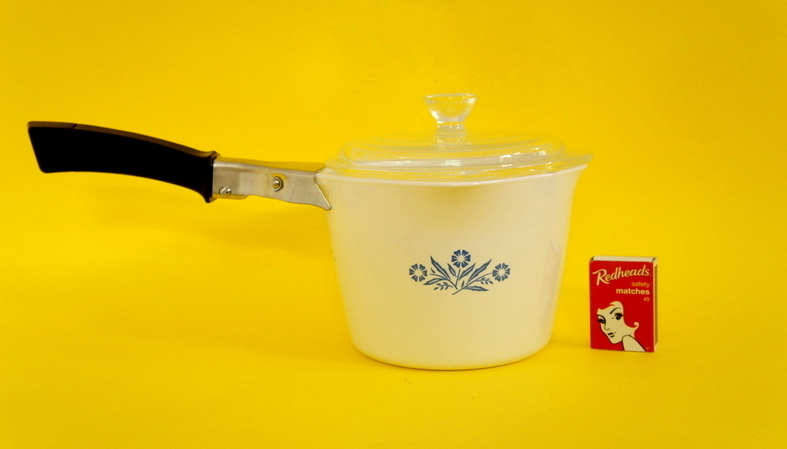 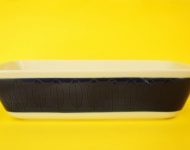 It’s also really clean – in fact it looks like it’s barely been used! 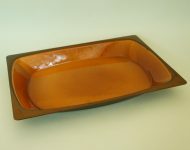 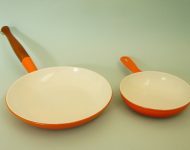 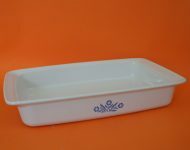 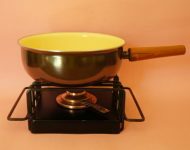 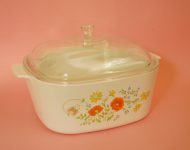 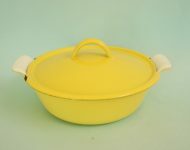 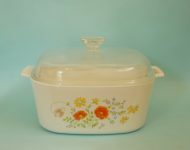 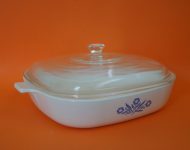 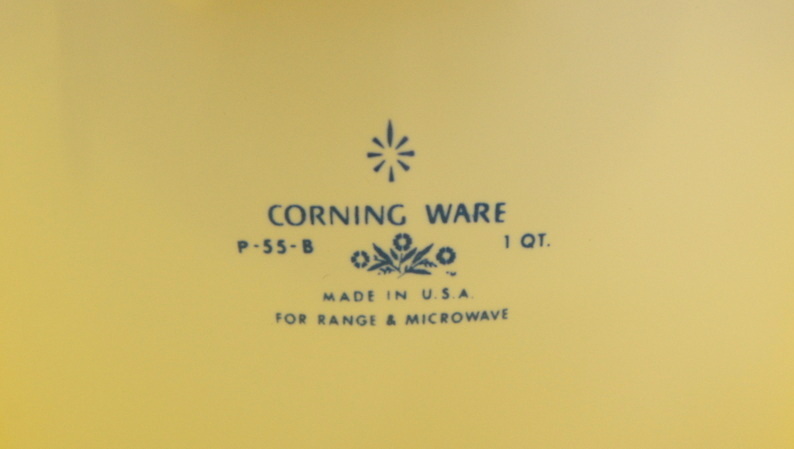 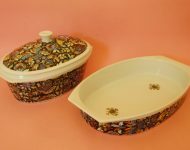 A very sought after piece of Corning Ware that would make a great addition to your pots and pans drawer!